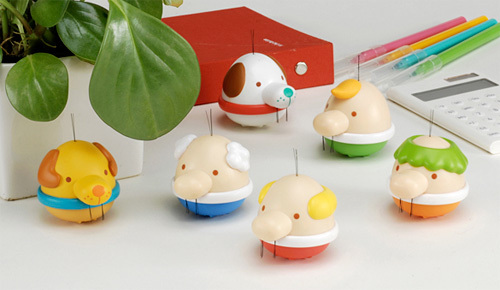 Bitosan Ke Toys Don't Like Having Their Nose Hairs Pulled, Yet Encourage You To Do So | OhGizmo! When I was a kid, Tomy was known for its kid-friendly electronics and cutting-edge robots available at the local Radio Shack, but these days their offerings just leave me scratching my head. These ‘Bitosan Ke’ figures, for example, feature a few strands of static carbon fiber nose hairs sticking out of their nostrils, and when pulled or touched they cause the character to speak. Now since the toys will be released in Japan (6 different characters available for 892 Yen or about $10 each) they’ll obviously speak Japanese, but roughly translated the phrases seem to either encourage you or discourage you from touching their hairs. What could be more fun? !